After returning from a training mission, an F-16 Fighting Falcon pilot reports a problem he experienced with radar returns during the flight to his crew chief. The airman quickly goes to work running his tests to find the issue. At the aircraft’s Organizational maintenance level, a technician can test to identify the problematic subsystem of the aircraft’s radar system. These subsystems are known as Line Replaceable Units (LRU) because after the defective unit is found it can be removed and replaced by a properly operating LRU. 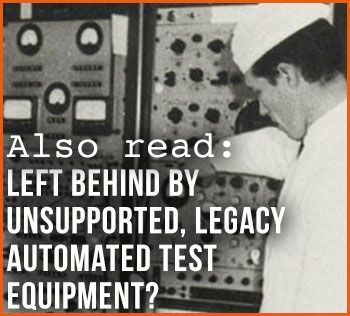 Also read: Left Behind by Unsupported, Legacy Automated Test Equipment? The guilty LRU is the Modular Low Power Radio Frequency (MLPRF) unit of the AN/APG-68 Fire Control Radar. Now identified, the MLPRF is sent to a repair depot for more in-depth testing to find the issue inside the LRU so that it can repaired and returned back to service. The failure report received by the depot includes notes describing the faults assessed from the crew chief’s testing. A repair technician from the depot will be assigned to evaluate and repair the LRU according to requirements. The notes provided will not be enough to isolate the issue so that it can be repaired. The technician could disassemble the LRU and following technical manuals, slowly find the malfunction by testing each pin individually by hand with a simple multimeter. In a repair depot environment, possessing a machine that is designed to quickly perform measurements on avionics and evaluate the test results is essential. Automated Test Equipment (ATE) can be that simple digital multimeter, or it can be a complex system of test instruments that can more comprehensively test and diagnose a device. Electronic components being tested, also referred to a Unit Under Test (UUT), all have different requirements and a single test does not usually properly evaluate every device. Often, a repair shop will have an entire room, or multiple rooms, full of large test benches and racks for nearly every device they support. 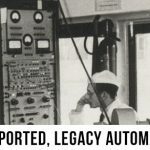 Having to depend on so many ATE systems can result in great expense to a company, not only due to product costs, but also because of the floor space required to house all the automated test equipment. Consequently, when a technician is researching which ATE will be the best fit for a new test requirement, there is more to consider than just the price of the system. We asked our engineers and technicians to share their concerns when they are evaluating ATE solutions. Cost effective – How much will it cost to acquire test bench and each test program/cable set? As mentioned previously, test benches are often designed to measure only one or two devices. Try to identify a system that provides multiple test capabilities in order to reduce the number of ATEs purchased. Easy to use – Good designs should inform the user about its operation to some extent without every page of documentation. Controls provided need be intuitive. Some tests are far too complex for this, but documentation can be integrated into the flow of the system’s use. High test coverage – Some test solutions only touch major functionality items, but ignore edge cases. This results in failures in the field that cannot be replicated in the maintenance shop. Industry standard – What happens if the vendor that provided the test solution goes out of business or no longer wants to support their product? Using as many industry standard items (e.g. COTS test equipment, PXI/AXIe modules) as possible help prevent this problem. Excellent customer/technical support – Have you spent many hours researching and finding a product that seems perfect for your test needs and environment, only to find out that after you secure it, support is virtually non-existent? Warranty/service agreement – A term of warranty is not enough information. 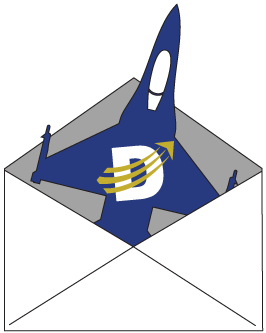 What is the time from leaving your shipping department to coming back? How long does it take to get someone to provide a solution to your problem? It the support email, phone, forum, or on-site? Proven track record – Has the company provided this product or solution before? Do they understand your work or just write software? How “polished” is the solution? Ask for the provider’s expert. If the “expert” is not as advertised or not available, look elsewhere for your solution. Third party testimonials – Talk to those using the solution or similar services. Get feedback. Not all negative reviews should be grounds for looking elsewhere, but look for the trends. The technician receives the problematic MLPRF at his station and begins the evaluation. He first places the device onto a wheeled cart to transport it to another room where the APG-68 MLPRF test bench is located. He connects the cables from the ATE to the MLPRF and the display shows the series of tests available to him for the LRU. After the technician interacts with the ATE’s interface, the machine begins to run high-level electronic diagnostics to quickly perform measurements and then evaluate the test results. 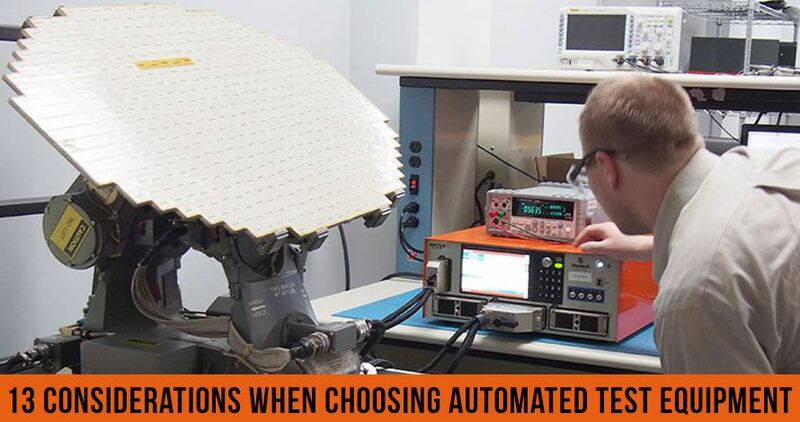 The ATE automates testing of the LRU’s components like the power supply, communications board, input and output boards, and other circuit boards. Afterward, the system returns back results like pass or fail. With these test results, the repair technician can isolate the faulty component. Based on the tests, he discovers that the communication board is malfunctioning – it cannot hear what is being passed to it from the system’s other LRUs. Now he can reference the UUT’s technical manual for repair procedures and parts identification. After ordering and receiving replacement parts, he performs repairs, and after passing follow-up testing, the LRU is returned to the customer. Without the use of an ATE to test a particular device, the technician would need to manually perform tests throughout the entire LRU using more rudimentary and less reliable techniques, adding many more hours and days to the repair time. These additional repair hours can cost more overtime than the upfront costs to secure the correct ATE to perform the tests. It also extends downstream of the defective unit, which can affect mission readiness for the host platform. Is enough enough, or just too much? Having the right automated test equipment on location for all the devices you support can fill entire rooms in your building. You can reduce your ATE footprint by utilizing a high-speed, diverse system for faster, more cost-effective testing of multiple devices. 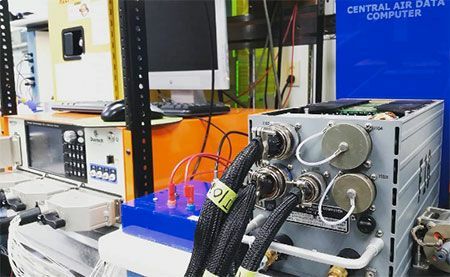 An ATE that is able to shift from device to device simply by switching cables can reduce test errors, costs, and the amount of space required to house test benches and racks. Have a new device to test? Simply change cables! If you could reduce your search time by quickly finding one ATE solution that Saves You Money, Saves You Time, and Saves You Space, what would that be worth to you? Finding a solution that allows your company to repurpose facility space currently reserved for your depot’s many automated test stands may be a top priority for you. If so, then you need a compact ATE solution that can replace a room full of large test racks, test a wide variety of assembly and subassembly applications by simply changing cables, and can integrate with Commercial off-the-shelf (COTS) test equipment. The ARTES, Advanced Reconfigurable Test and Emulation System is a compact ATE system that can be configured to test a wide variety of devices. It is reconfigurable I/O for digital, analog, switch matrix, and RF. It has a 4U footprint for racks and bench use. If you need to switch tests, you simply grab the cables designed for that device and connect. Need a new test? Based on requirements, Duotech will produce the new test setup and develop the cables you need to couple the ARTES to the device. The ARTES is small in size, but big in power. This means a crew chief can easily move this ATE and test the problematic avionics system near the flight line to identify what LRU needs to be repaired. The ARTES simply needs to change cables in order to perform a test from one device to another. It can fit into a rack or a bench setup and integrate with COTS test equipment. This allows a repair technician to put the ARTES on a wheeled cart and bring it to his work station. 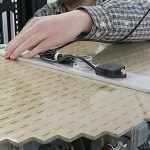 The ARTES has testing capabilities for a wide variety of electronic systems. 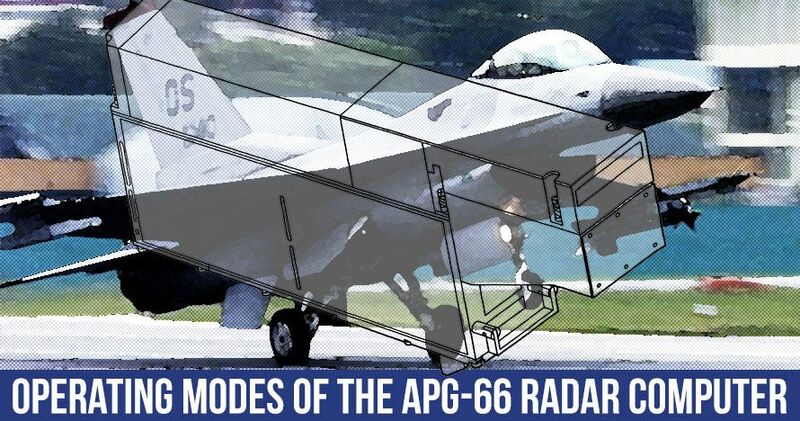 Some examples include the F-16’s APG-66 and APG-68 radar and the F-5’s APQ-159 radar. Many more systems include the APX-113 Combined Interrogator/Transponder, ARC-164, and also the DFLCC and FLCC. 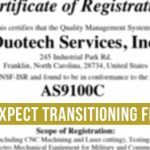 Duotech Services has over 34 years of experience providing a full range of equipment repair services. With three decades of testing a wide variety of electronic and electromechanical systems for military and commercial applications, we put our experience with ATE’s into developing the ARTES. If you would like to learn more about the ARTES, we will be glad to answer your questions. Call or email us today to get answers.